Ariba Medical Spa Has Many Options of Dermal Fillers. Call Us at (510) 894-0969 for More Information or to Schedule an Appointment. Our Doctor and Staff Look Forward to Treating You Today. 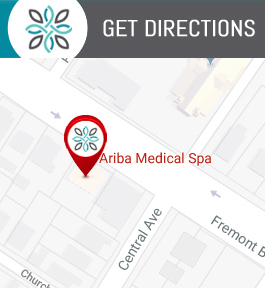 We are Conveniently Located at 37553 Fremont Blvd, Fremont, CA 94536. Aging can drastically change how you feel about your appearance, whether you are facing wrinkles or sunken-looking skin. At Ariba Medical Spa in Fremont, California, Dr. Tariq Mirza uses dermal fillers like Kybella® and Juvéderm®, including the in-demand Juvéderm Vollure™ XC injectable, to help you enhance your natural beauty and meet your cosmetic goals. Call or schedule your appointment today to enjoy the fast, long-lasting results of dermal fillers. Dermal fillers are gel substances that are injected beneath the skin to create a fuller, younger appearance. The gel can help smooth out wrinkles and correct a sunken appearance that occurs over time with age. Dr. Mirza can also use fat from your own body as a dermal filler in your face. Dermal fillers are popular among both men and women because they provide instant results. Some of the most common dermal fillers include Kybella and Juvederm, as well as Juvederm’s advanced Vollure XC filler. Combined with Botox Cosmetic treatments, dermal fillers can help you dramatically reduce the appearance of wrinkles around your entire face. During your treatment, a trained professional will inject the gel into the desired area, which may be your cheeks, lips, or around your mouth. To help minimize discomfort, they may apply a numbing cream to your face before the injections. Dermal filler treatment takes just 15 minutes to an hour, depending on the area. You will see immediate results, but may have minor redness, bruising, or swelling for a few days. You have no downtime after treatment, so you can immediately return to all your normal activities. Dermal filler gels are slowly absorbed by your body over time but should provide results for a year or longer. You can repeat treatment or even get “touch-ups” to maintain your results. If you choose an autologous fat injection for your dermal filler, you will first need surgery- typically liposuction- to pull fat from other parts of your body. After purifying the fat in a lab, Dr. Mirza can inject it into your face to create a fuller appearance that should last for years. Which type of dermal filler should I choose? Dr. Mirza can help you choose which dermal filler and treatment areas are right for your appearance goals. You may want to use gel fillers if you are trying to avoid surgery. However, if you are interested in liposuction, autologous fat injections may be the right solution for you. Learn more about how dermal fillers can help you enhance your natural beauty. Call or schedule an appointment online today to achieve natural, younger-looking skin.